Today I learned about insurance and retirement plans and grown-up stuff like that. And practiced. Tomorrow I start the new job in earnest, and play a show (with Kylesa, at Roboto). Thursday night, more practice. Friday/Saturday/Sunday are the trinity of Andyfest shows, so I’ll basically be freakin’ out a lot. I need to figure out what kind of food to make all weekend, because I like to feed me some bands. 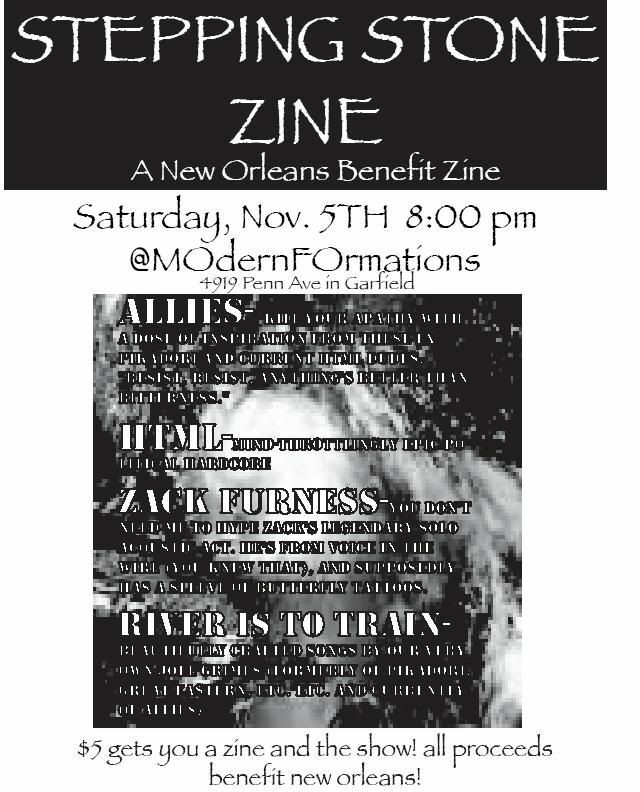 On a related note, do go to the show at MoFo Saturday night (flyer right hurr). It’s a release for a zine that Alicia and Jessie are putting together, the proceeds of which go here, and it’s good bands and good folks and that’s that. I have another show later in the evening, but I plan on checking out as much as I can, and you should too. Saw that you like mixtape swaps. Join the FTOTZ Mixtape Swap. Now is the time to join up. Fill in this survey and send it back to Masticator (Chris Miller). SPread the word. I am nursing a post-European Cup final hangover. Proceed as normal, if you will. 1) What’s your FTOTZ name? 4) Can you make an orphan mix? 5) Are you in for the June round? 6) Have you moved recently? (6pm EST) on Friday 1 June. The Mixclub FAQ is here!